A new mall opened in October 2013 in Bucharest, located at the crossroads of Floreasca Road, Pipera Road and Barbu Vacarescu Street, in the northern part of the city. 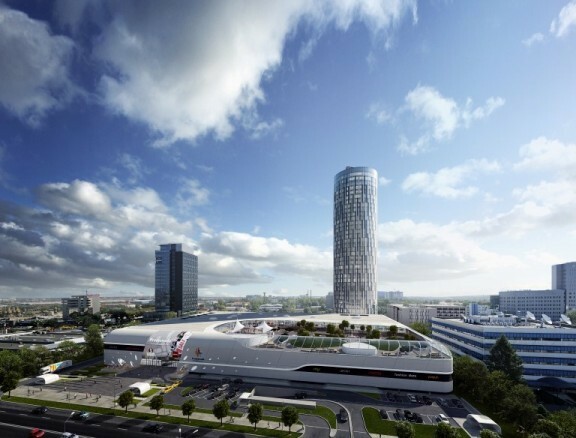 Promenada mall, the newest commercial centre in Bucharest includes 140 fashion stores and services on 35,000 sq. m, with brands such as Peek & Cloppenburg, H&M, Humanic, Lacoste, Manoush, Stefanel, Suvari, Tommy Hilfiger, U.S Polo Assn, Vicomte A, Cacharel, Sephora, Chic Ville, Douglas, Ecco, Intimissimi, Kazar, MAC, Roberto Bravo, etc. The mall also has a food-court, a gym and a large terrace which turns into open air skating rink during winter. Promenada mall is situated in the business district of Bucharest, an area with lots of office buildings and it is reachable by bus, tram and underground (Aurel Vlaicu metro station).